It’s not a secret that too many school districts across the state are underfunded – often by millions of dollars, and sometimes by tens of millions of dollars, which means students get fewer resources than properly funded districts and homeowners get higher property taxes. That’s why it was remarkable last year when the Legislature approved a far-reaching and long-overdue plan to address the chronic funding imbalances that overfunded a handful of politically powerful school districts, while leaving hundreds of thousands of students in underfunded schools. That plan, the results of months of hard work and compromise, passed overwhelmingly and was lauded across the state by parents and taxpayers. But in Trenton, some are trying to reverse that progress, picking winners and losers based on politics and not what’s best for students. 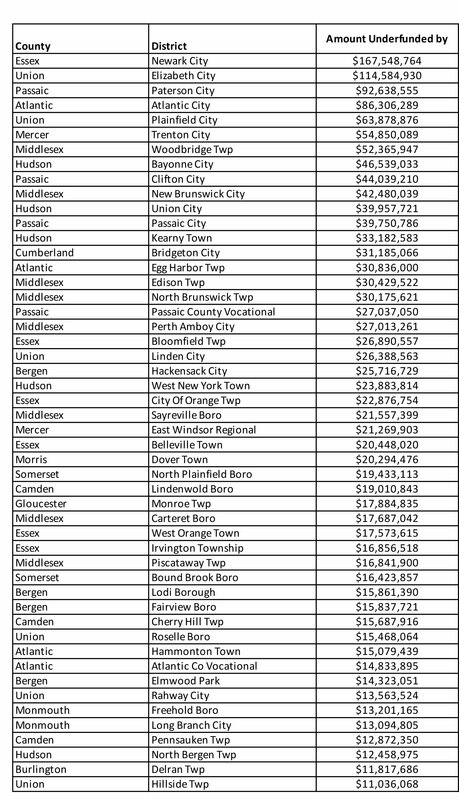 And their plan is so bad that cutting the overfunding of one politically powerful district – Jersey City – would allow proper funding of 249 additional districts. That’s 42% of the state’s school districts. That’s right: a single politically powerful school district receives so much support – at least $174 million more than it deserves and over $1 billion in the last five years! – that by simply reducing its funding to what is fair, the state could provide fair funding to 249 other school districts, helping hundreds of thousands of students in communities across the state. We will no longer tolerate this type of inequity and discriminatory funding while others profit. We have always corrected wrongs that needed to be righted. Whether it be gender discrimination, pay inequality, sexual harassment or racial discrimination, we have always done what is right. The catastrophic and orchestrated short-changing of our children’s funding over the last decade is no different. These children, their parents and the communities they live in are victims of a scurrilous scheme orchestrated and perpetuated by complacent politicians over the last decade. This must and will stop now! In the coming weeks, legislators will have to make choice: protect a handful favored districts or provide for all New Jersey’s students.